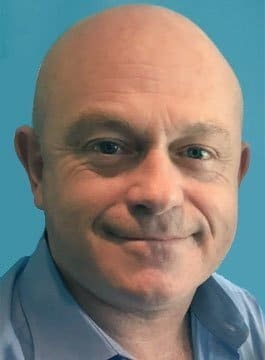 Ross Kemp is an award-winning actor, author and BAFTA award-winning documentary maker. Ross rose to prominence in the role of ‘Grant Mitchell’ in the EastEnders between 1990 and 1999. Following his initial departure from EastEnders, Kemp moved from the BBC to ITV for his first ITV role in Hero of the Hour. He also starred as the lead in ITV’s Christmas edition of A Christmas Carol. In 2000, he took the lead roles in the television series Without Motive and In Defence. Between 2002 and 2006 he was the lead role, Army Staff sergeant ‘Henry Garvie’ in Ultimate Force. Furthermore, he played the role of ‘Cirra’ in the 2004 TV film Spartacus. Since 2006, Kemp has received international recognition as an investigative journalist. His first series was the critically acclaimed and award-winning documentary Ross Kemp on Gangs. After making 27 ‘Gang’ programmes around the world, Ross presented Ross Kemp in Afghanistan where between 2007 and 2012 he spent time with army regiments: 1 Royal Anglian, 5 Scots, 1 Royal Irish, and twice with 45 Commando. As an investigative journalist, Ross continues to push the boundaries with his ‘up close and personal’ interviews in some of the world’s most dangerous places and with some of the world’s most dangerous people. More recently Ross has been given exclusive access to a selection of police forces for ITV’s In the Line of Fire and Ross Kemp and the Armed Police. As a guest speaker, Ross is available to present anecdotal after-dinner and inspirational keynote speeches.